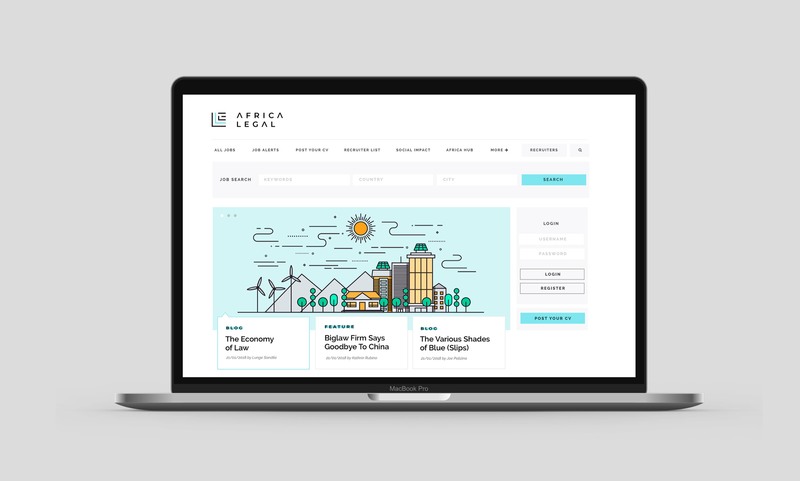 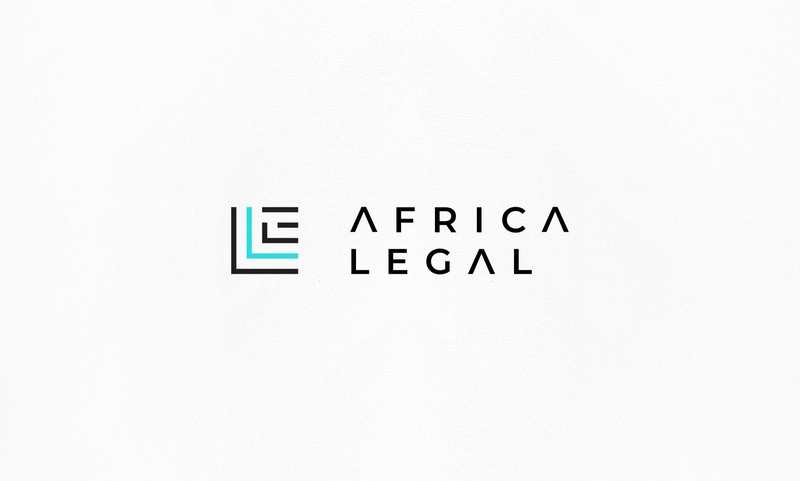 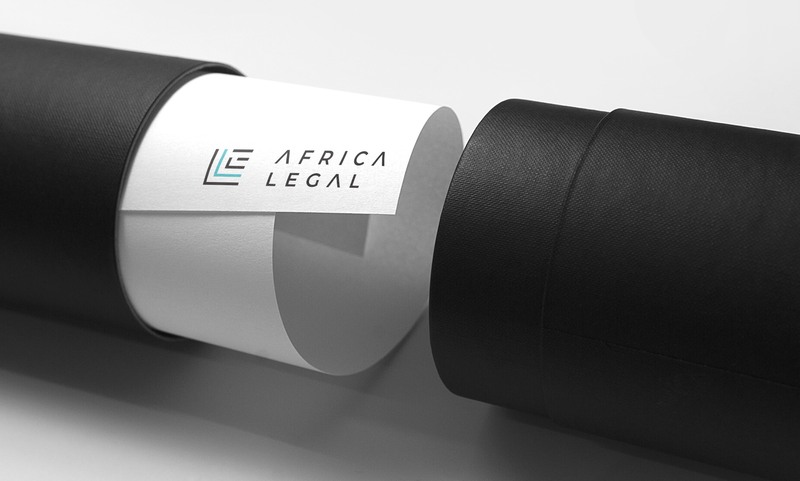 Africa Legal is an online portal for news, recruiting and training courses in the legal sector in Africa. 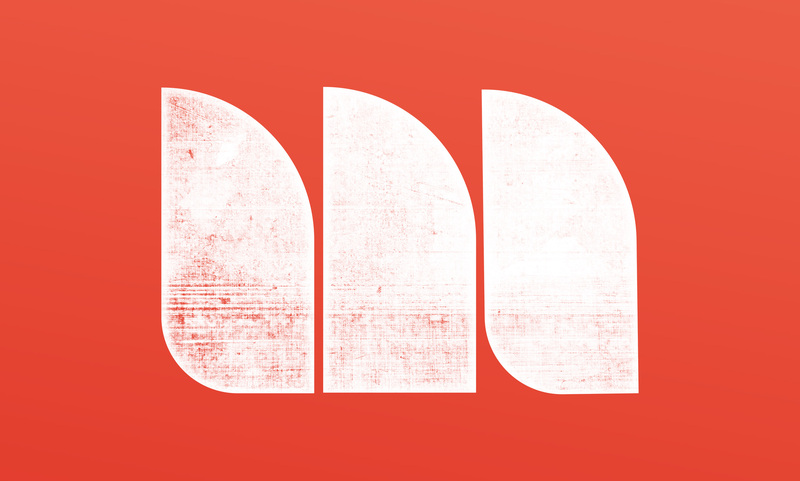 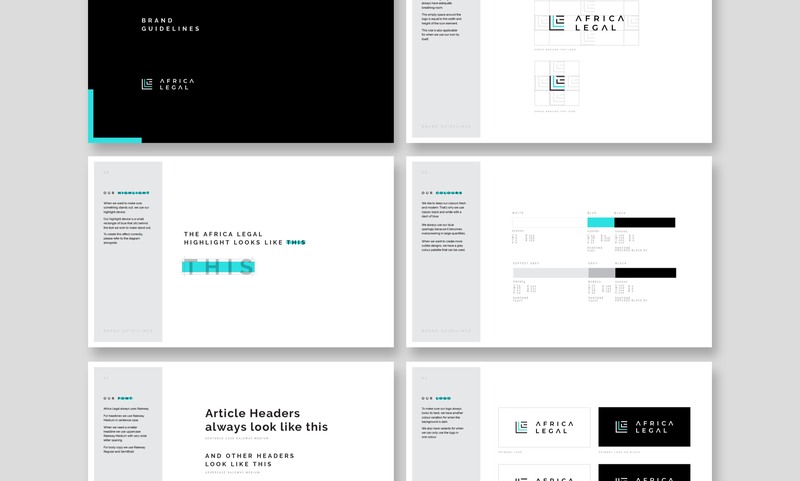 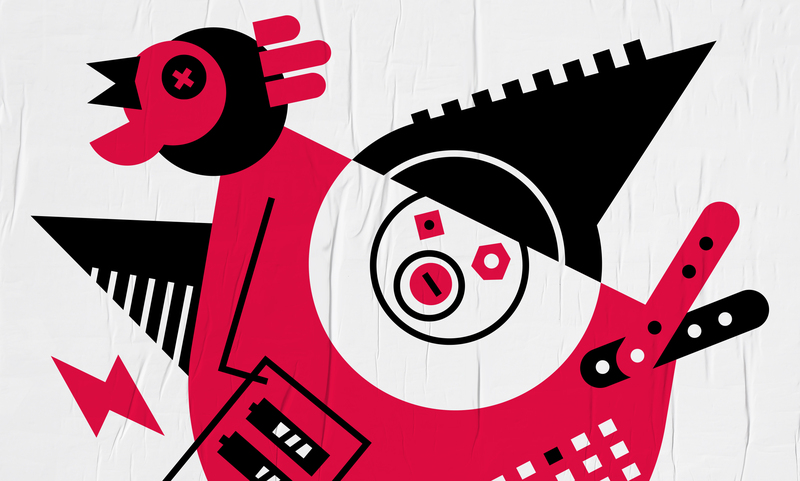 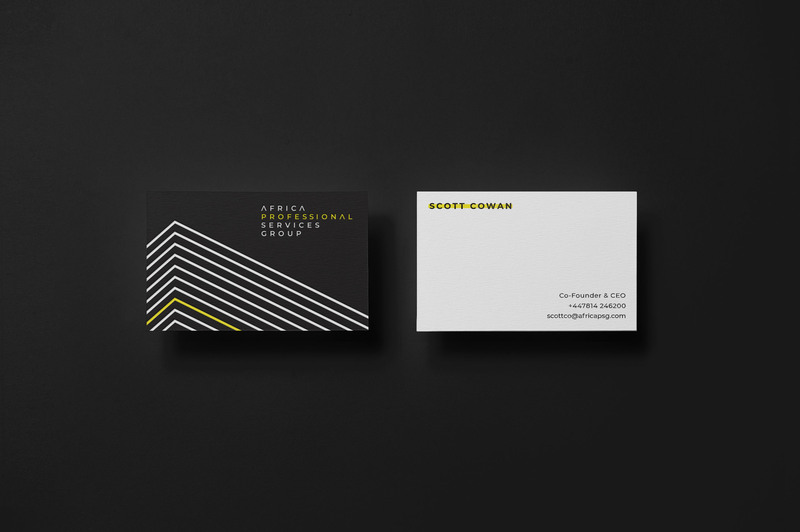 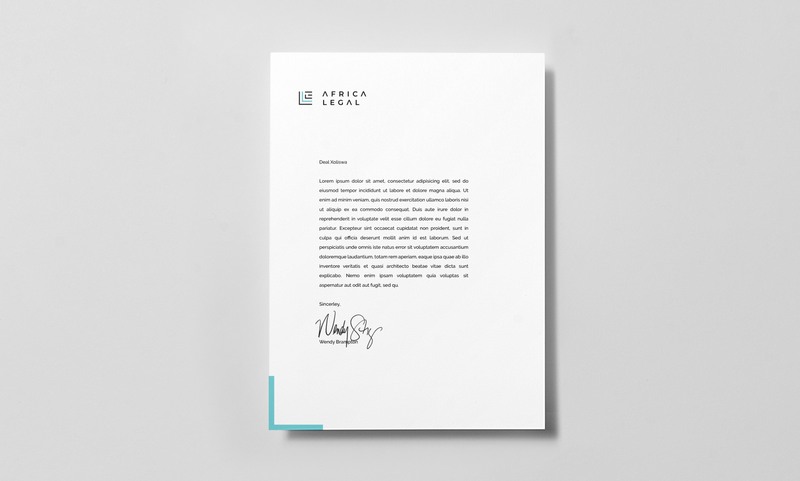 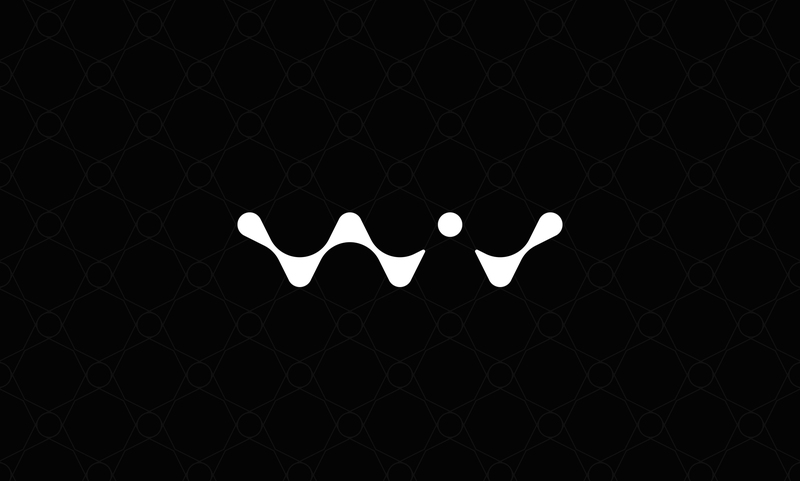 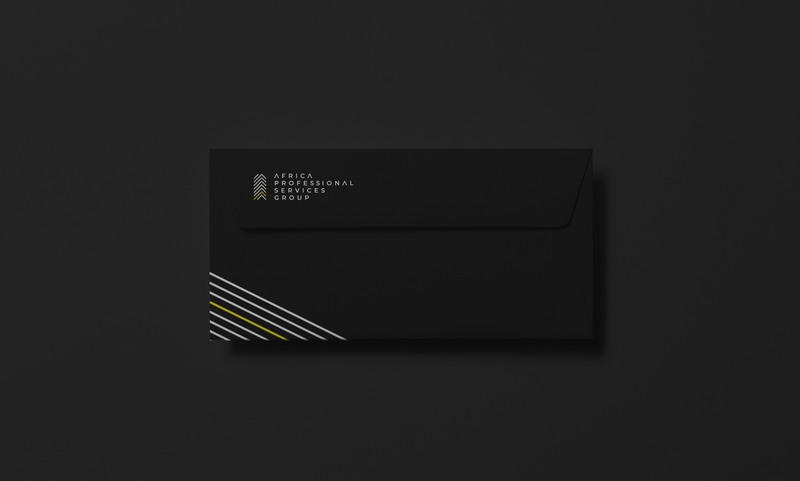 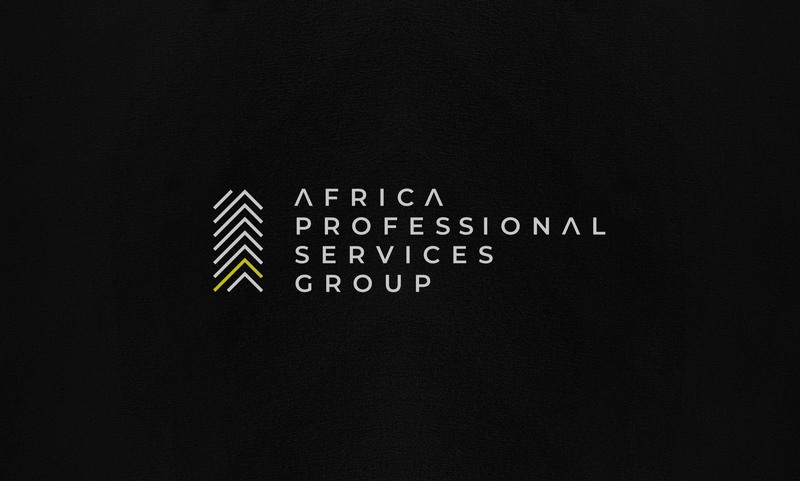 The identity was created to appeal to the rising workforce throughout Southern and Central Africa. 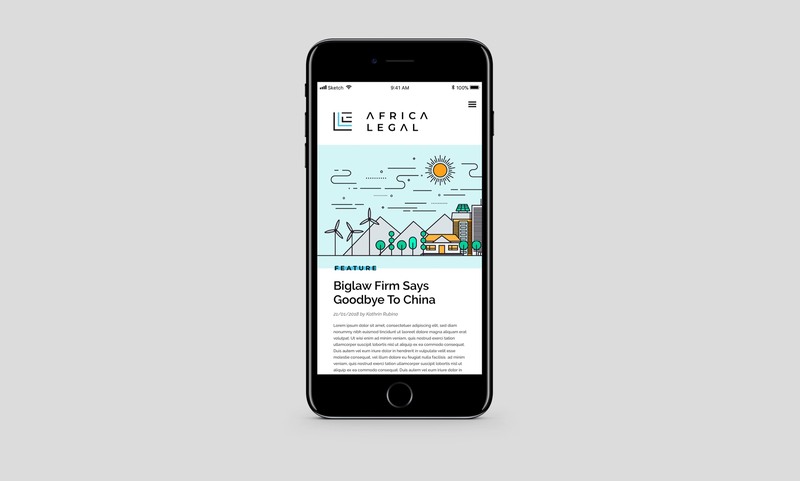 We were challenged to strike a balance between a visual language that felt professional, but also authentically African, without becoming cliché. 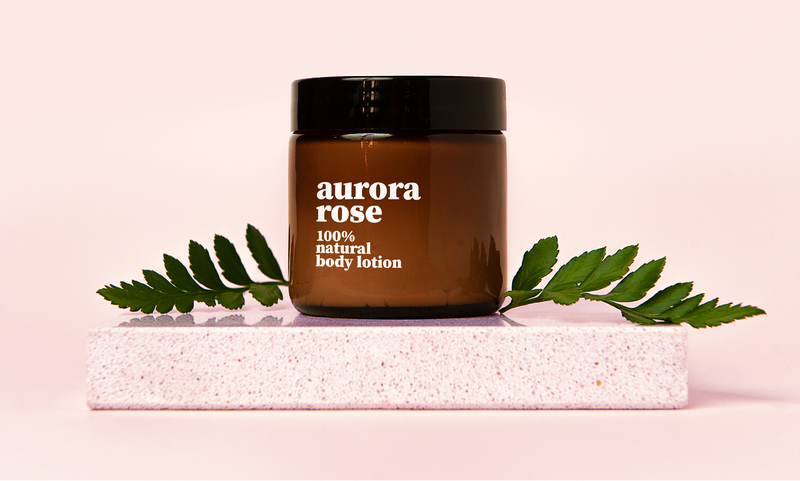 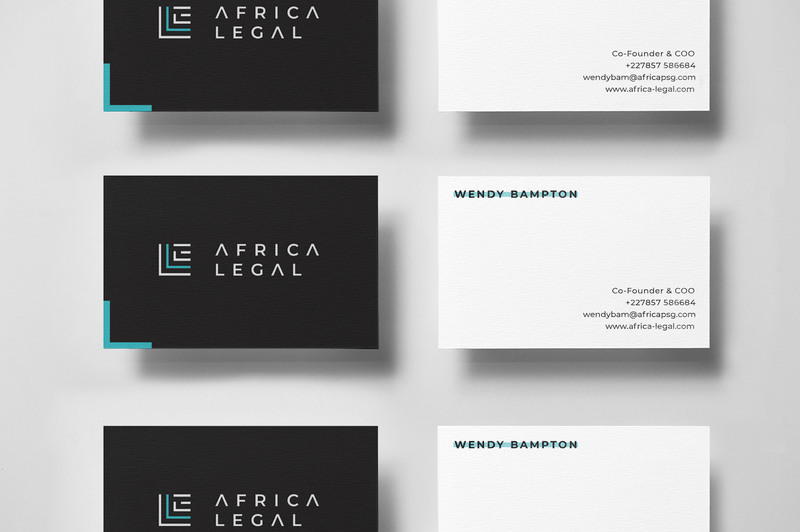 The resulting identity is extremely clean - bordering on minimalist, with refined line-work creating a strong and memorable mark that bears an undeniably African aesthetic. 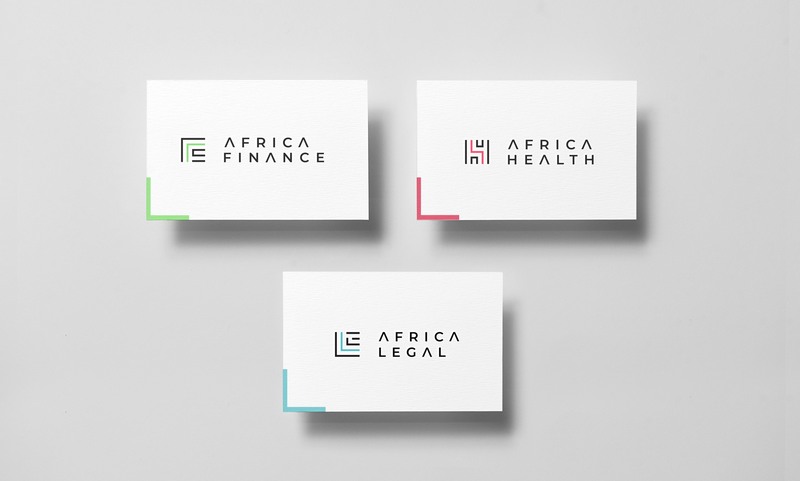 The identity was extended to create two more sub-brands applicable to the Health and Finance, introducing new colourways for these sectors and two new icons that represent the deconstructed letterforms H and F.
Branding for Africa Professional Services Group also needed to be considered. 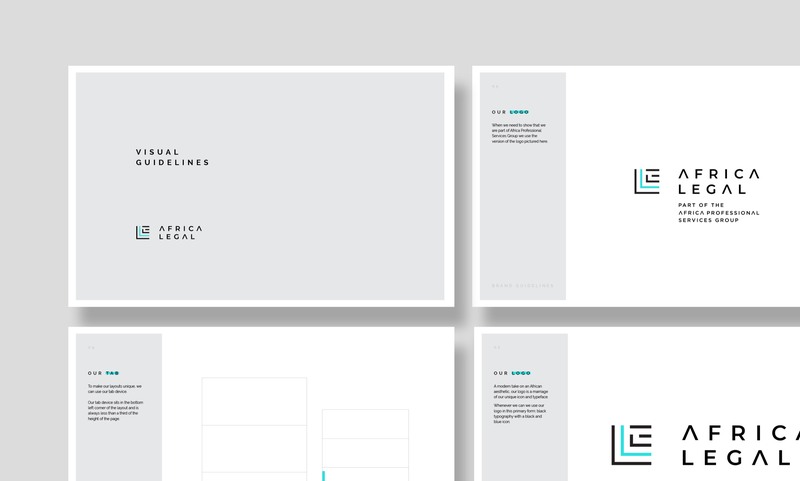 We inverted the large white spaces of the sub brands to set this identity apart on a rich charcoal. 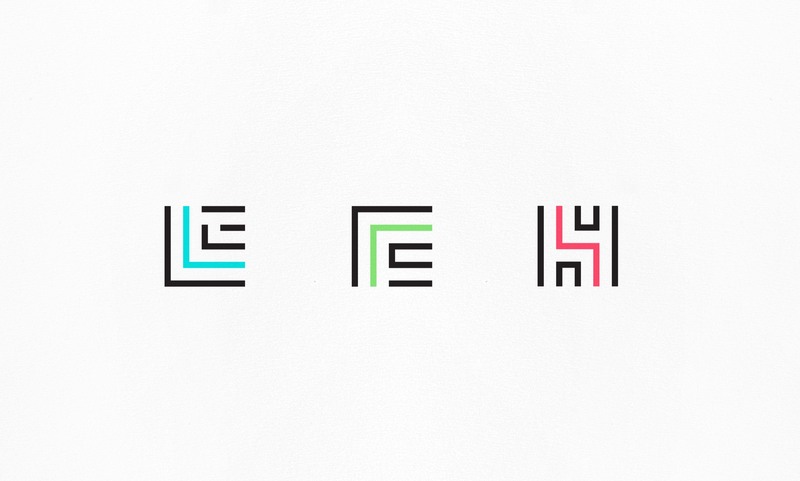 The right-angles of the three icons are set at a 45° angle, and the mark is extended vertically to represent growth and upward mobility. 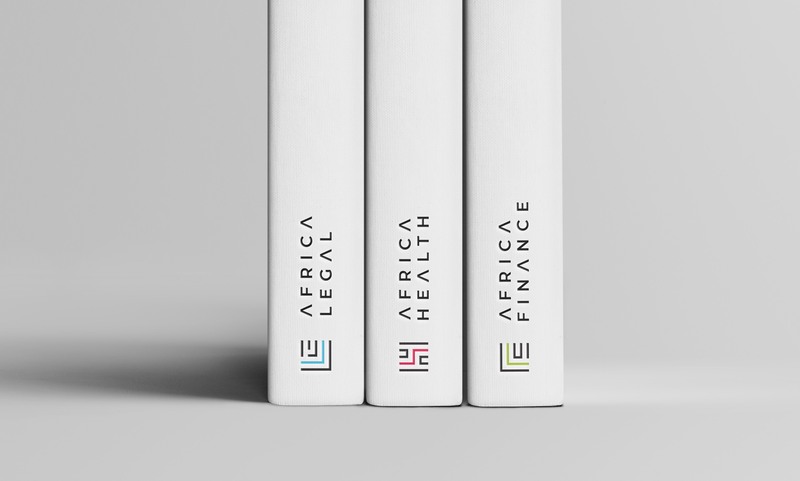 This mother brand is powerful and striking, while retaining the minimalist African aesthetic of the three sub brands.